#YusupovPalace. 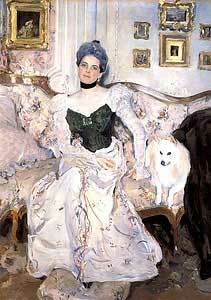 #Yusupov. #FelixYusupov. #GrigoryRasputin. #Rasputin. #SaintPetersburg. #StPetersburg. #BestOfStPetersburg. #SaintPetersburgPrivateTour. #Palaces. #StPetersburgPalaces. Visit to the Yusupov Palace. the Yusupov Palace excursion. Guided tour to the Yusupov Palace. 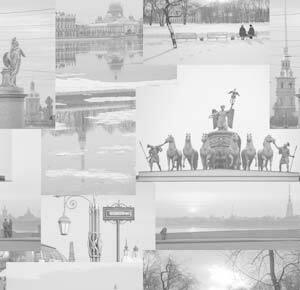 What to see in St Petersburg Russia. Rasputin Museum at Yusupov Palace. Skip-the-Line Tickets. Things to see in St Petersburg Russia. St Petersburg tourist attractions. Our excursions for cruise line passangers. The Yusupov Palace is one of the most beautiful private palaces in St. Petersburg. It belonged to the family of the Princes Yusupovs – a famous Russian noble family. This family was remarkable not only because of its title and wealth (in the 19th century they were the richest family in Russia), but also because of the role the family played in Russian history. Several generations of the Yusupovs served the Russian Tsars since the 15th century and were involved in many important historical events. At the beginning of the 20th century the last owner of the Palace, Felix Yusupov, got related to the Royal family by marrying the niece of Tsar Nicholas II. The same person, Felix Yusupov, is famous for taking part in the historical murder of Grigory Rasputin, which took place in that particular palace. The family owned the palace from 1830 to 1917. They designed the most beautiful suite of reception rooms. Their art gallery till today displays some paintings which once were part of the family art collection. You can see the famous private theatre of the Yusupov Palace, which is almost a little copy of the Mariinsky theatre. Besides you can visit private rooms designed for different members of the family which still have a feeling of a private home and reflect the taste and character of their owners. Every generation of the Yusupovs designed and redesigned some of the rooms, and as a result the palace turned into a museum displaying historical interiors from the beginning of the 19th to the beginning of the 20th century, so that one can see how the vogue changed during that time. Besides our guide will tell you a lot about the everyday life of the family and the traditions of the Russian nobility of the 19th century. And, last but not least, you will visit the actual rooms where the murder of Rasputin took place, and where you can see the wax figures of the members of the plot and Rasputin himself. During the tour our guides will give you interesting references into the family history of the Yusupovs and reveal the mystery over the life and death of Gregory Rasputin. You can find more about the Yusupov Palace here. The palace is situated in the centre of the city within a walking distance from the St. Isaak’s square. The tour of the palace will take about 2 hours. Guided tour to the Yusupov Palace with Best Guides! I've seen the Yusupov Palace Rasputin room! It is magnificent!